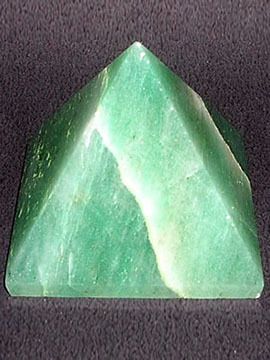 "PYRAMID" is a greek word consisted by two words 'PYRA' + 'MID' where the term PYRA means fire and MID means Center Core. So an Object which contains energy at its Core is a pyramid. 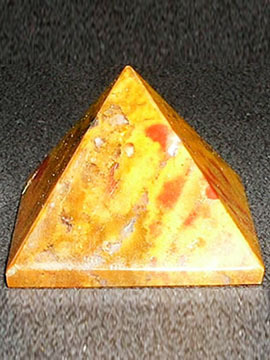 Pyramids help in absorbing negative energy and blockages from the chakras. They help in meditation and healing. 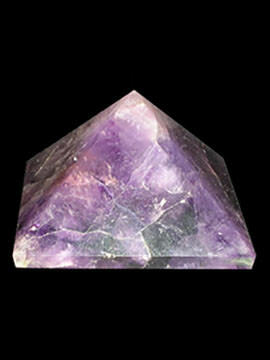 We have a wide range of pyramids made from various stone such as amethyst, agate, apophyllite, crystals, etc. Pyramids are designed in such a way that the triangles are equilateral so that the energy is focused inside and brings vibration which can be used in many ways. It can be experimented in preserving the food and other items. One can feel the difference when the food items are kept normally and in other preserved in a pyramid. The food items preserved in pyramid shape are fresh for more time. The ancient Egyptians have understood the sacred geometry of the pyramids. The mummies buried in the pyramid so that they can be preserved. 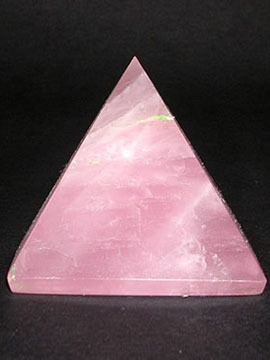 The pyramid works as the power center and are used in different healing therapies like crystal healing, Pranic Healing, Reiki, Feng shui and others. Pyramids made from different natural stones like Quart crystal, Amethyst, Rose Quartz, Lapis Lazuli, Agates and other stones are widely used. Pyramids are also made from Brass, copper, Silver and other metals as per their use and properties. Meditation in particular type of pyramids like the pagodas enhances the flow of energy. Vastu practioners are often seen suggesting set of pyramids at home and offices to thwart the ill effects and the dirty energy. In this section you will find pyramids handcrafted from various natural stones. 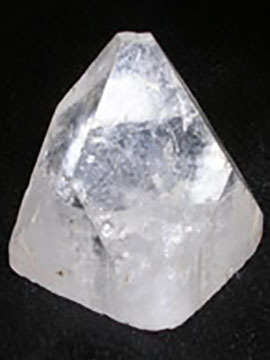 All the stones and the healing crystals used in manufacturing are 100 % natural and are mined from earth. We do not use any man made or laboratory made stones. 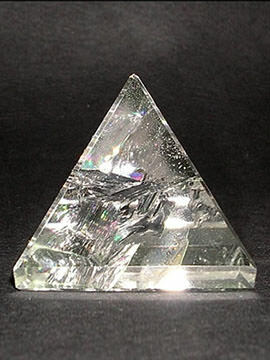 For wholesale and bulk natural crystal pyramid inquiries do contact us. Please browse our products for more variety of pyramids.